Porsche Style Decals, Graphics, Stripes, Stickers for Porsche 911, Boxster, Cayman, Cayenne and Panamera. Range of decals for all Porsche 911. Designs for Early 911, 964, 993, 996, 997 and 991. Range of decals for all Porsche Boxsters. Designs for 986 Boxster, 987 Boxster and 981/718 Boxster. Range of decals for all Porsche Cayman. Designs for 987 Cayman and 981/718 Cayman. Range of decals for all Porsche Cayenne. Range of decals for all Porsche Panamera. 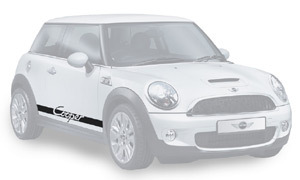 Range of Porsche style decals for the new MINI. 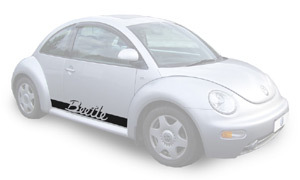 Range of Porsche style decals for all generations of VW Beetle. 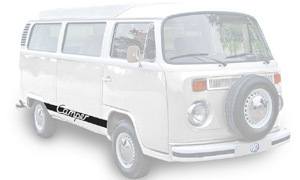 Range of Porsche style decals for VW Campervans. Design Stuff Online supplies decals for Porsche and other automobiles. Design Stuff Online is not sponsored, associated, approved, endorsed nor, in any way, affiliated with Porsche Cars North America, Inc., Porsche Cars GB or Dr. Ing.h.c.F.Porsche, AG (www.porsche.com). The Porsche® name and crest are trademarks of Dr. Ing. h.c. F. Porsche AG, and any other products mentioned in this Website are the trademarks of their respective holders. Any mention of trademarked name or other mark is for reference to make/model and should not be construed as contesting such trademark. Copyright / trademark infringements are not intended, or implied. A comprehnisve range of Porsche Talbot Sport decals, originally available in 1980/1990s.